Each year, the College of Arts and Sciences honors alumni who have made exceptional contributions to their fields and to the lives of others. The 2015 winners were honored at the College of Arts and Sciences Dean’s Welcome Reception and Awards Presentation during Homecoming and Reunion Weekend 2015. 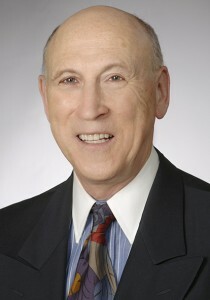 Malcolm H. Gissen (ADL ’65) is the president of an independent financial advisory firm, Malcolm H. Gissen & Associates, which he founded in San Francisco 30 years ago. In an earlier phase of his career, he practiced law in Wisconsin, where he litigated several landmark civil liberties cases. At every stage of his life, he has worked to advance civil rights, civil liberties and other progressive causes. As an undergraduate, Gissen volunteered in Carl Stokes’ first mayoral campaign. During the summer of 1966, after his first year of law school at the University of Wisconsin, he worked in Mississippi for the Lawyers Committee for Civil Rights Under Law, an organization established by President John F. Kennedy. While there, Gissen helped monitor Klan violence, provide legal services to black residents and assist with voter registration efforts and integration of public facilities. Upon returning to school, he successfully spurred the president of the University of Wisconsin to increase minority enrollment and made regular visits to Mississippi to recruit black students for the university. Gissen has supported a variety of programs, including several that he founded, to enrich the lives of African American children in the South and in low-income urban communities. He has also led efforts to revitalize Case Western Reserve’s Bay Area Alumni Chapter and has helped organize three reunions of his Phi Sigma Delta fraternity brothers. Harold D. McRae (ADL ’65) earned a bachelor’s degree in chemistry from Adelbert College and an MBA from Harvard University. He went on to a successful career in marketing, sales, strategic planning and new product and business development, eventually holding senior management positions with American Express, Travelers, Caremark and Glaxo-Wellcome (currently GlaxoSmithKline). In 1997, McRae was the lead donor in establishing the Frank “Doc” Kelker Scholarship for African American students at Case Western Reserve. Later, as a university trustee (2002-06), McRae led the reorganization of CWRU’s Alumni Association. He has co-chaired the college’s visiting committee, volunteered for the Alumni Fund and served as a reunion chair. In 2014, he received the Stephanie Tubbs Jones Leadership Award from the African American Alumni Association. Since his retirement in 2002, McRae has focused his energies on his volunteer and philanthropic interests. He was the lead donor for a new fellowship hall and sanctuary for St. Andrews A.M.E. Church in his native Youngstown, Ohio. In Chicago, where he now lives, he has served on the board of Little Brothers – Friends of the Elderly and the development board of the Walter Payton College Preparatory High School. In addition, he has volunteered as a tutor in the Chicago Public Schools, helping first graders with reading and math. 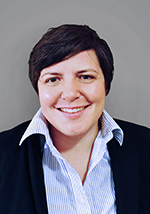 Tracy Epp (CWR ’97) is the chief academic officer at Achievement First, a network of charter schools that serves Brooklyn, New York; Bridgeport, New Haven and Hartford, Connecticut; and Providence, Rhode Island. She manages assessment, school leader and teacher development and the network-wide alignment of curriculum to ensure that all students can meet ambitious goals. 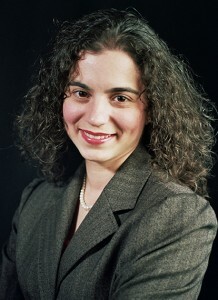 Epp began her career as a 1997 Teach For America corps member in the Rio Grande Valley of Texas. There, she later helped establish, and lead the expansion of, a high-performing charter school network, the IDEA Public Schools. Before she became involved with IDEA, Epp served as a program director and member of the national program team at Teach For America. A double major in political science and history at Case Western Reserve, Epp has since earned an MEd in educational leadership at the University of Texas at Pan American and a EdD in educational leadership at the University of Texas at Austin. She is a fellow in the Pahara/Aspen Institute’s Entrepreneurial Leaders for Public Education Fellowship Program. Elizabeth Hill (CWR ’97, GRS ’97) is a superior court judge in San Mateo, California, where she hears criminal cases and sits as supervising judge in the South San Francisco branch courthouse. She earned bachelor’s and master’s degrees in political science at Case Western Reserve and a JD from Stanford Law School. Hill served as a deputy district attorney in San Mateo County from 2000 to 2010, holding specialty assignments in environmental protection, mental health cases and domestic violence prosecution. From 2010 until 2014, she served as a court commissioner, first in San Mateo County and then in Santa Clara County. 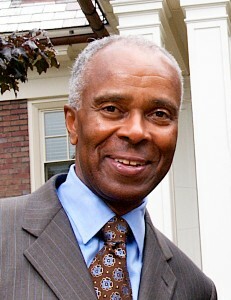 Hill was a member of the board of directors of Community Overcoming Relationship Abuse from 2005 to 2010. She mentors local high school students and volunteers as a mock trial judge. 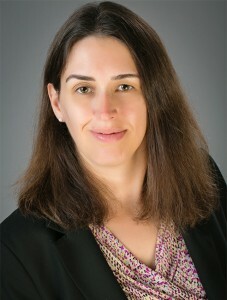 A member of the visiting committee for the College of Arts and Sciences, she created the Wellman Hill Political Science Internship Program in 2007. The program awards grants to political science majors pursuing unpaid summer internships in public service. Santina Protopapa (CWR ’00) is the founder and executive director of Progressive Arts Alliance (PAA), a Cleveland-based nonprofit organization that integrates the arts into other academic subjects. She leads a design process that ensures PAA’s programs are being refined to stay relevant to the current needs of students and teachers. Nationally recognized for its expertise in the field, PAA works in partnership with the Cleveland Metropolitan School District to integrate the arts into STEM education (science, technology, engineering and mathematics). Protopapa leads a team of five full-time employees and 15 artist-educators who also facilitate workshops in libraries and the annual RHAPSODY Hip-Hop Summer Arts Camp. Protopapa, who graduated from Case Western Reserve with a double major in communication studies and music, is a former education programs manager at the Rock and Roll Hall of Fame and Museum. In 2007, she completed a certificate in nonprofit management at the Weatherhead School of Management. In 2008-09, while in residence at Harvard University as a Catherine B. Reynolds Foundation Fellow in Social Entrepreneurship, she earned a master’s degree in the Arts-in-Education Program at the Harvard Graduate School of Education. To nominate graduates of the college or its predecessor institutions for the 2016 Alumni Awards, please email Sharon Jordan-Davis, Executive Director of Constituent Relations at sjj@cwru.edu. The deadline for nominations is Dec. 31, 2015.